Winner of the 2008 Outstanding Publication Award of the American Sociological Association Section on Aging and the Life Course. In an era when half of marriages end in divorce, cohabitation has become more commonplace and those who do get married are doing so at an older age. So why do people marry when they do? And why do some couples choose to cohabit? 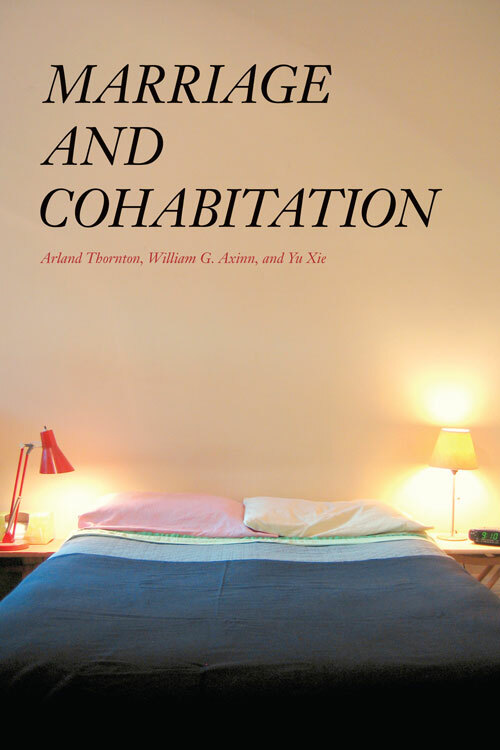 A team of expert family sociologists examines these timely questions in Marriage and Cohabitation, the result of their research over the last decade on the issue of union formation. Situating their argument in the context of the Western world's 500-year history of marriage, the authors reveal what factors encourage marriage and cohabitation in a contemporary society where the end of adolescence is no longer signaled by entry into the marital home. While some people still choose to marry young, others elect to cohabit with varying degrees of commitment or intentions of eventual marriage. The authors' controversial findings suggest that family history, religious affiliation, values, projected education, lifetime earnings, and career aspirations all tip the scales in favor of either cohabitation or marriage. This book lends new insight into young adult relationship patterns and will be of interest to sociologists, historians, and demographers alike.